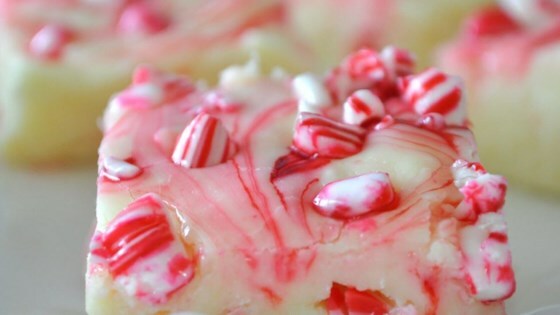 "This is a simple, festive and tasty peppermint fudge. A platter was brought to a cookie trade and was gone quickly!" Everyone loved this fudge! Instead of just mixing in the food coloring I did a swirl effect right before putting it in the refrigerator. This was a huge hit at work! I used white choco chips instead of vanilla chips.